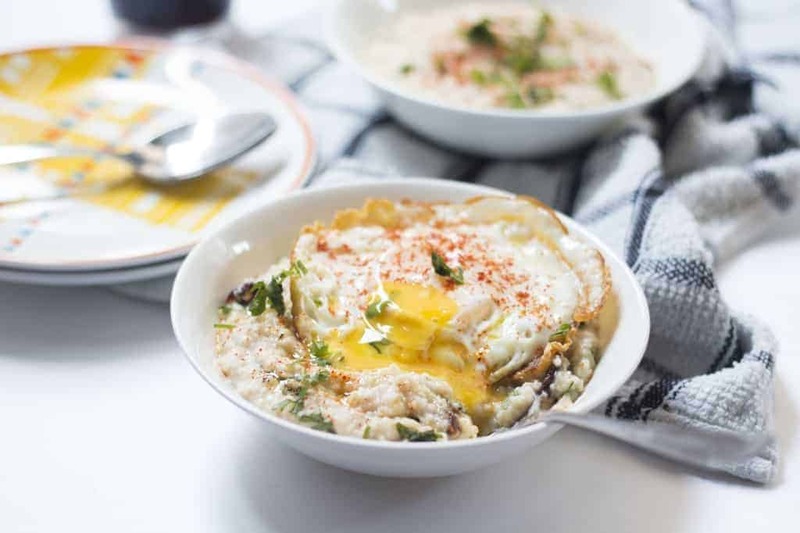 5 Savory Oatmeal Recipes for Breakfast that you must try! Have you ever tried savory oatmeal before? Skip the sweet stuff and try these delicious recipes – mexican oatmeal, oat pancakes, garlic oats with egg, masala oats khichdi (porridge) and mushroom oats. These recipes are ready in fifteen minutes and perfect for breakfast or lunch! Come January and my eggs and toast turn into oatmeal for breakfast. Because there is nothing like warm, creamy oats to make you feel like you can take on the world! I’ve never been a big fan of eating a sweet breakfast and so I usually end up making savory oatmeal for breakfast. And over the years, I’ve come up with many variations so that breakfast is never boring. Don’t think oats mean just porridge, because you can do so much more with them and I’m going to show you how. I usually start my day with Horlicks Oats because their instant oats are fast to cook, really easy to make and taste delicious no matter how you cook them. Oats also make you feel fuller for longer so that you don’t reach for a bag of chips mid-morning. I’ve put together five incredibly easy savory oatmeal recipes for you that are sure to up your breakfast game! These recipes are a favorite and you will be amazed at how versatile a bag of instant oats can be. These recipes take under 15 minutes to make and each one of them is completely different in taste so that breakfast is never boring again. This Mexican oatmeal bowl is the healthier version of a Mexican breakfast bowl. The oatmeal is seasoned with all the spices that go into your favorite taco, and then topped with salsa, corn, avocado, jalapenos and cheddar. Super simple to make but you’ll feel like a king when you dig into this! Cook: Heat oil in a pot and add garlic. Cook for 15 seconds till fragrant and add oats, taco seasoning, paprika powder, lime juice, water and salt. Mix well and bring everything to a boil. Simmer for a few minutes till the oats are cooked and the mixture has thickened up. This should take 3-4 minutes. Add a little more water to reach consistency that you like. Serve: Top with corn, salsa, grated cheddar, avocado and jalapeno. Serve hot. 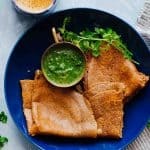 Oats are the easiest thing to make dosas with. The simple batter is made with instant oats and rice flour which is flavored with chilies and ginger. 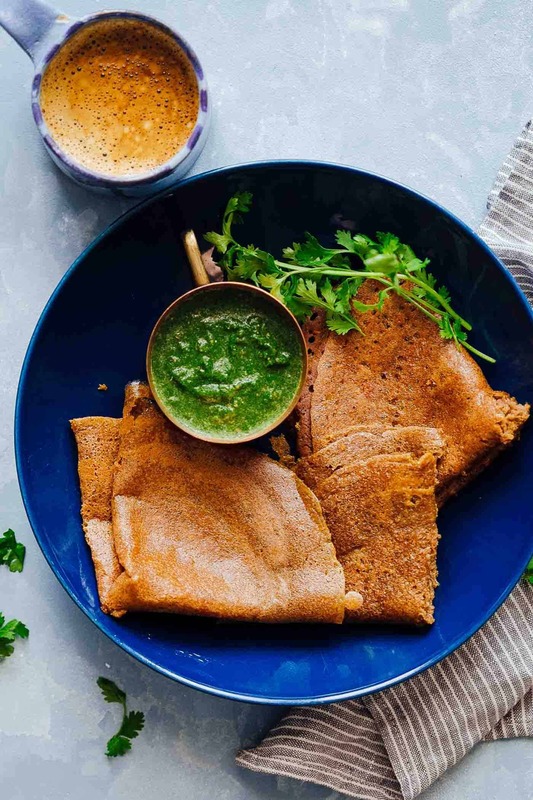 The next time you crave dosas at home and want something healthier, these oats dosas or pancakes will make your day. Batter: Blend all the ingredients in a blender till smooth. The mixture should be the consistency of a crepe batter so add a splash of water if necessary. Let the batter rest for 15-20 minutes. This helps the oats absorb some of the liquid. Cook: Heat a pan or griddle, and spray or brush with a little oil. Pour half a cup of batter with ladle in the center and spread it with the back of the ladle. Sprinkle a teaspoon of oil around the edges of the dosa and cook till golden brown and crisp. Repeat for the remaining batter. Serve with your favorite chutney. This is definitely our favorite go to breakfast when we don’t have the time to make something elaborate. Cook the instant oats with garlic and olive oil and top it with a fried egg and you have a breakfast that’s high in fiber and protein. Plus, that runny yolk mixes with oats and creates the creamiest breakfast combination. Cook the Oats: Heat a teaspoon of oil in a pan and add minced garlic. Sauté the garlic for 15 seconds and add oats. 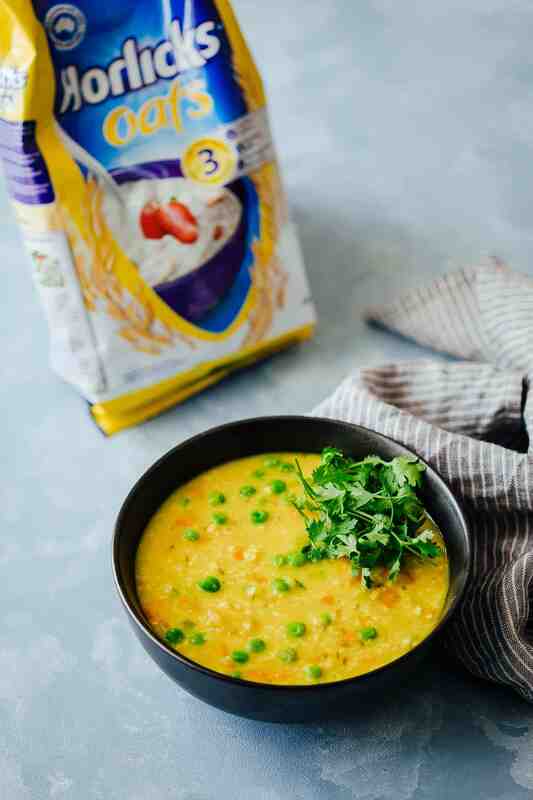 Stir the oats for a few seconds and add all the water, salt and pepper.Bring this to a quick boil, and simmer for 3-4 minutes, by which time, the mixture would have thickened up into a porridge like consistency and the oats will be cooked. Adjust the consistency by adding more water if required. Just before taking oats off the stove, add cheese and basil and mix. Fry the eggs: In a non-stick pan, add the olive oil and fry the eggs one by one. Top each egg with salt and paprika or chili powder. Assemble and Serve: To serve, divide the oats equally into two bowls. Top each bowl with a fried egg, sprinkle with more paprika and chopped coriander. 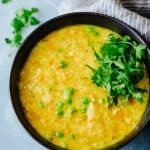 This healthy khichdi loaded with vegetables tastes just like the real deal, and is a take on the South Indian Pongal which is a nutritious, hearty breakfast option. Leftovers also make for a great lunch or dinner which is why a big pot of this savory oatmeal will keep you happy all day! Soak: Soak the moong dal in some water till you are ready to add it to the recipe. Cook: Heat ghee in a pressure cooker and add cumin seeds. Once the seeds start spluttering add ginger and green chilies. Cook for a minute till the ginger is fragrant and add the chopped vegetables, turmeric, oats. Drain the moong dal and add it to the cooker along with 3 ½ cups water and salt. Bring this to pressure and cook for two whistles. Let the pressure release naturally. Serve hot topped with more ghee. 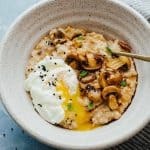 Mushroom oats is a creamy breakfast oatmeal that has the earthiness of mushrooms combined with delicious Asian flavors. 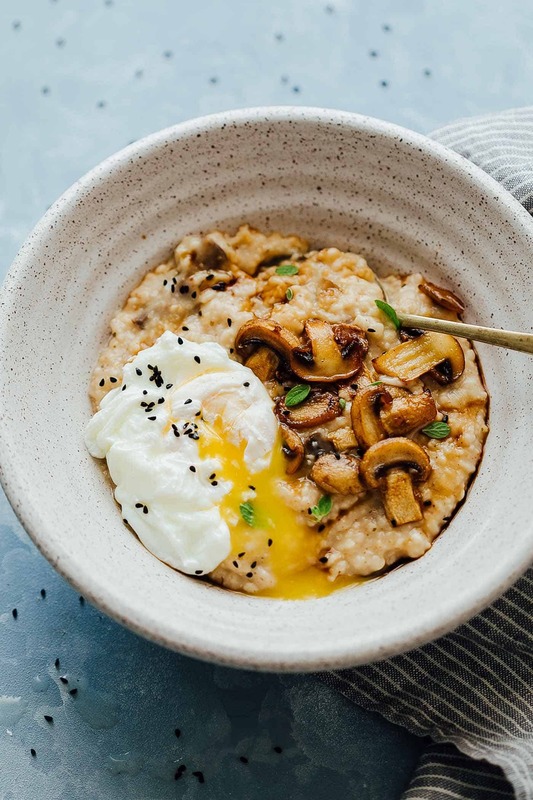 Top it with a poached egg, a dash of soy sauce and green onions and take this simple mushroom savory oatmeal to the next level! Cook the Oats: Heat a teaspoon of oil in a pan and add grated ginger. Sauté the ginger for 30 seconds and add oats. Stir the oats for a few seconds and add all the water, salt and pepper. Bring this to a quick boil, and simmer for 3-4 minutes, by which time, the mixture would have thickened up into a porridge like consistency and the oats will be cooked. Adjust the consistency by adding more water if required. Cook the mushrooms: In a non-stick pan, heat olive oil and add the mushrooms. Cook on high heat for a few minutes till mushrooms are golden brown. Sprinkle with a pinch of salt. Assemble and Serve: To serve, top with oats with mushrooms, poached egg, a dash of soy sauce and green onions. So are you a savory oatmeal fan now? I hope you try some of these recipes and tell me what you think! Thanks to Horlicks Oats for sponsoring this post and making breakfast more awesome! 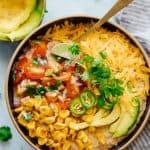 Hi, is there any chance of a rename of the “mexican” bowl? maybe to something like “texmex” or “texmex inspired” bowl? Hey Alejandro, honestly this isn’t supposed to be an authentic mexican bowl and I don’t claim that it is either. Thanks for your suggestions, but I won’t be changing the name. Oats….the new potato. Love that it is so good for us! Yes, you can make this on stovetop too. I’ll try and add instructions soon. My HEART is very happy and thankful!! I knooow right! I think oats taste much better savoury than sweet. So glad you like them Maria! These all look great! I am a confirmed oatmeal hater from way back to the days when my mom cooked mushy oatmeal with raisins, then poured milk over it (making it lukewarm) and adding a spoonful of sugar. GAG! It took decades for me to even consider eating oatmeal again, but I gave it another try for health reasons. The first thing I did was reject all sugary toppings, since I don’t like sweets, and looked for ways to make it tasty. 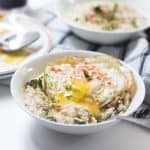 Similar to your garlic oatmeal recipe, I cook half a cup of old-fashioned oats in a cup of chicken broth (3 mins in the microwave) then drizzle it with olive oil, add a TB of parmesan cheese, and drop a poached egg in it. Salt and freshly ground pepper, and this is a heavenly breakfast for someone who likes savory dishes rather than sweet. It tastes a bit like risotto, but with far few carbs, fat, and calories. I love oatmeal and eggs. The creaminess of both just compliments each other. Thanks for sharing your recipe! Thanks Sonali! So glad you liked it! 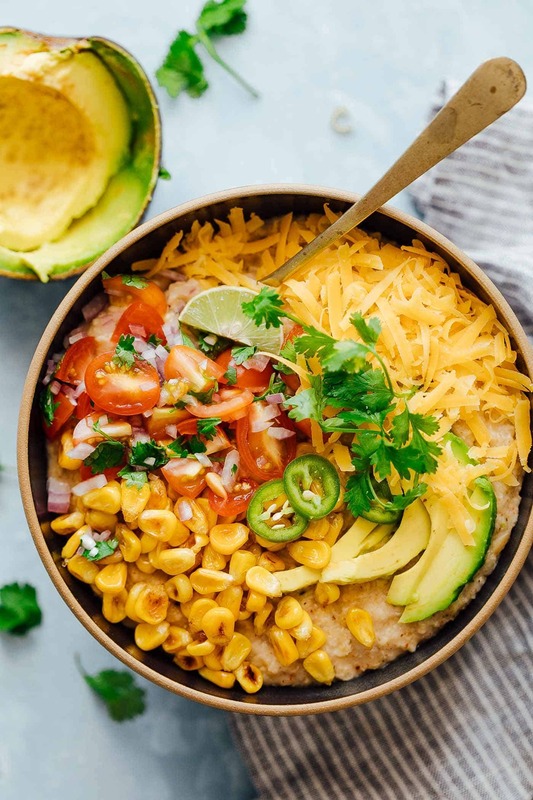 Lovely savory recipes with oats, I love the Mexican bowl, will try this soon. Thanks, thanks!! I needed new ideas for breakfast.